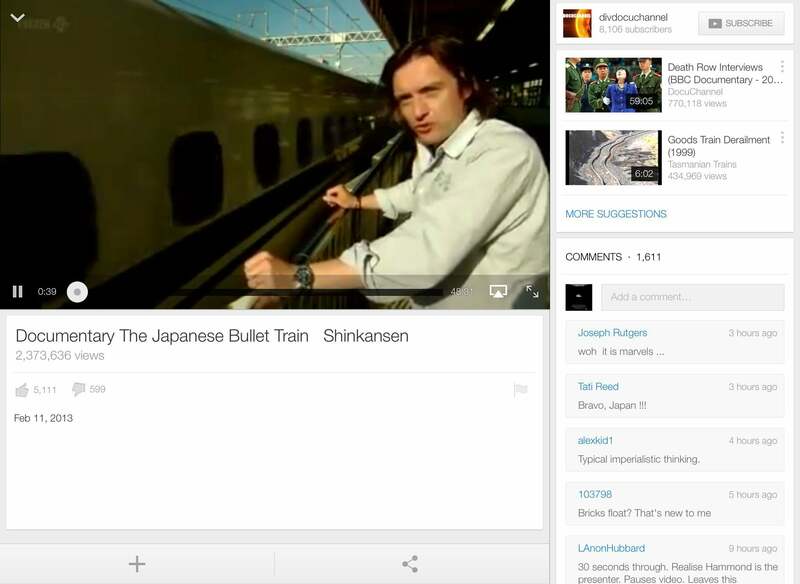 If you like to scour the deepest recesses of the Internet for everything from culturally-significant documentaries to the best recipe for a grilled cheese sandwich, you’ll be happy to hear that Google has released version 2.0 of its YouTube client for iOS. Despite the major version bump, the app remains, at least on the surface, largely unchanged from its predecessor. Both the user interface and functionality are essentially the same, but the search giant has introduced a couple new features designed to make the software “stickier” by allowing users to do more with less effort. The new picture-in-picture functionality allows you to continue browsing and searching YouTube's content while watching a video. The first addition comes in the form of a sort-of “picture-in-picture” function; while watching a video, you can swipe down with your finger, causing the video to shrink into the right-hand corner of your screen. This, in turn, reveals the app’s search function, which you can then use while your original video continues to play in the background. At any time, a simple swipe to the left allows you return the original video’s page to its full size. 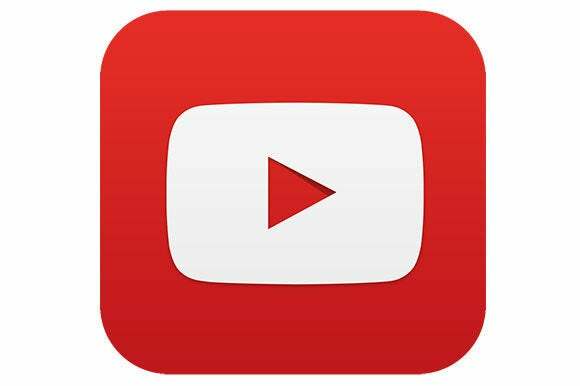 The ability to watch and search at the same time should be a welcome addition to those who use YouTube for researching anything from cooking recipes to do-it-yourself techniques. In my quick tests, it worked well, although the animation that the app uses to switch between views felt a bit clunky. A few additional UI tweaks round out the update. For example, a “play all” button now appears when you search for playlists, making it easier to enjoy an entire selection of videos at one sitting. On the iPad, the comment section of the interface has also been relocated to the right-hand side of the screen, where it is immediately visible under a shortened list of suggested videos. Personally, I find this to be a step backwards; users who are interested in the comments are likely to go looking for them, while everybody else benefits more from a readily-available selection of related videos. Then again, comments are undoubtedly very popular, and it makes sense that Google would want them in the spotlight in an attempt to involve more users in YouTube’s social aspects (and, of course, capture more of their computer time). The app's user interface has undergone a few changes—none of them particularly dramatic, but all geared towards bringing the service's interactive features, like comments, to the forefront. Overall, the app feels like a solid improvement; the interface is cleaner and easier to use, and all the important bits and pieces are immediately at hand without having to go hunting for them. This is even more evident when you compare the native client with YouTube’s Web-based interface, which feels positively byzantine and is both slow and hard to use. The picture-in-picture function, in particular, is an excellent addition: It brings an element of multitasking that is not normally available to iOS apps. If you’re looking for the solution to a particular problem, being able to quickly play a video and still continue to browse the results of a search can save a lot of time. Unfortunately, the app still exhibits a few oddities that Google ought to have tried to figure out by now. For example, the playback interface does not provide a volume control; it is, of course, easy enough to use the buttons on your iOS device to make the sound louder or quieter—not a huge headache, but annoying if you’re, for example, just trying to relax your way through a playlist of music videos. 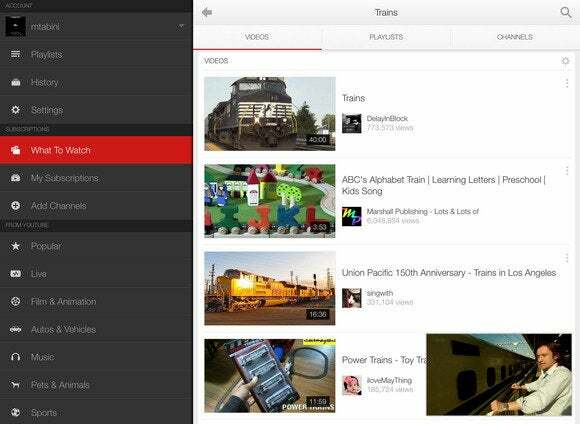 Like its predecessor, YouTube 2.0 is a Universal app that requires iOS 6.0 or later, and is optimized for the iPhone 5.